According to our travel plans this post should’ve been written in Romania, but alas bad karma…Thank you #UnitedAirlines! 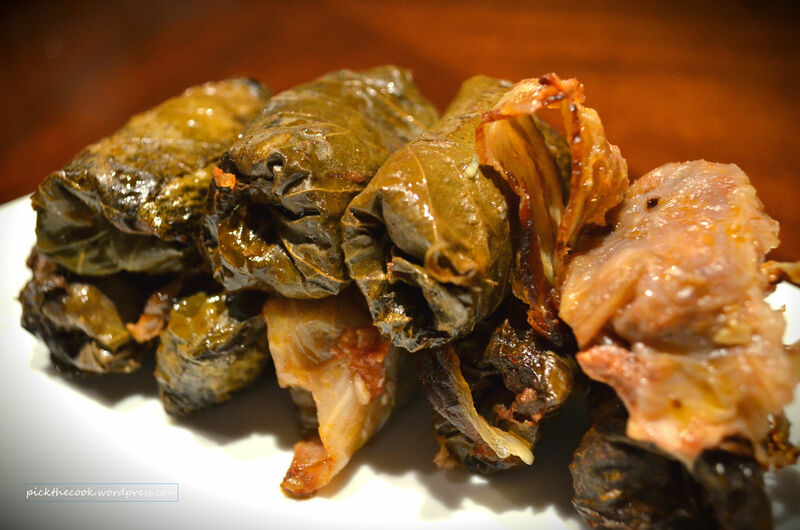 #dolma, #sarmale, #stuffed cabbage, #stuffed vine leaves- names don’t really matter, it’s just an awesome dish. It’s not a dish I would make more than once a year, because it’s really time consuming and nerve damaging. 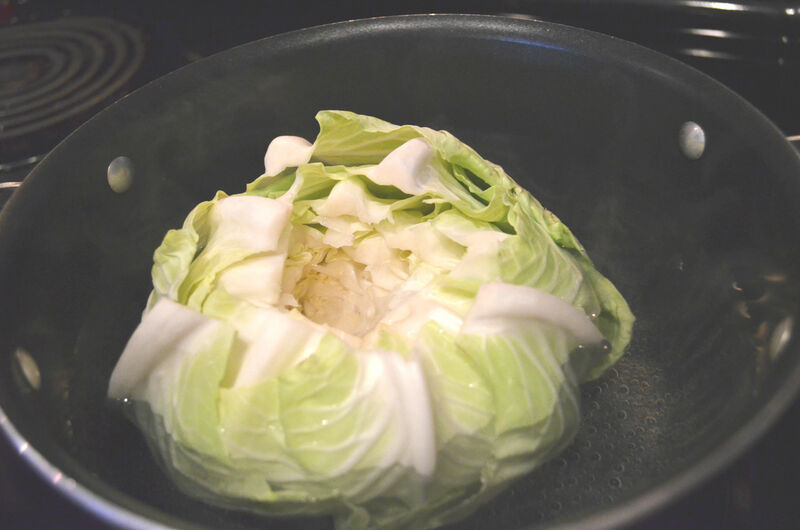 Remove the core of the cabbage and dump the cabbage into the boiling water. Let it boil until the leaves are soft (about 15 minutes). The problem with this cabbage (most cabbage in US) was that it’s what my mom calls “turkish cabbage”, which means that the leaves don’t get tender even after boiling them! I don’t really recommend trying this, especially if it’s your first time stuffing cabbage! Saute the onion in olive oil until golden. Add the rice and 1/3 cup warm water. 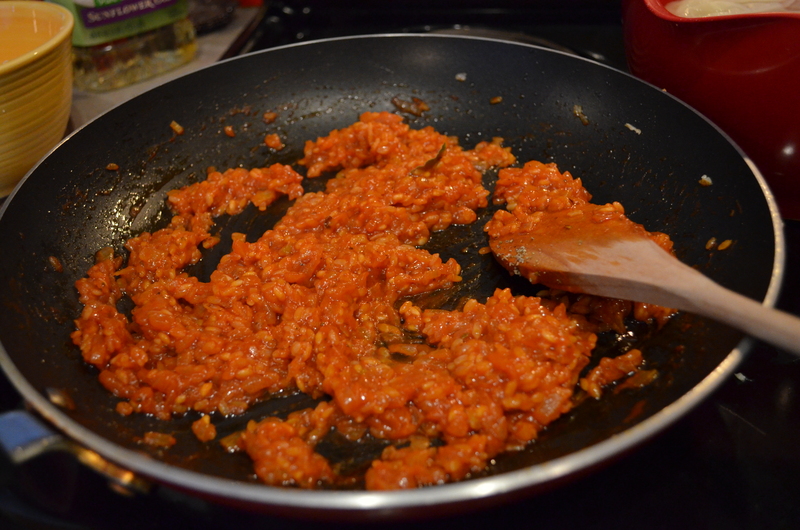 Let cook for 5 minutes and add the tomato paste. I used a terracota pan which gives it an even nicer flavor. 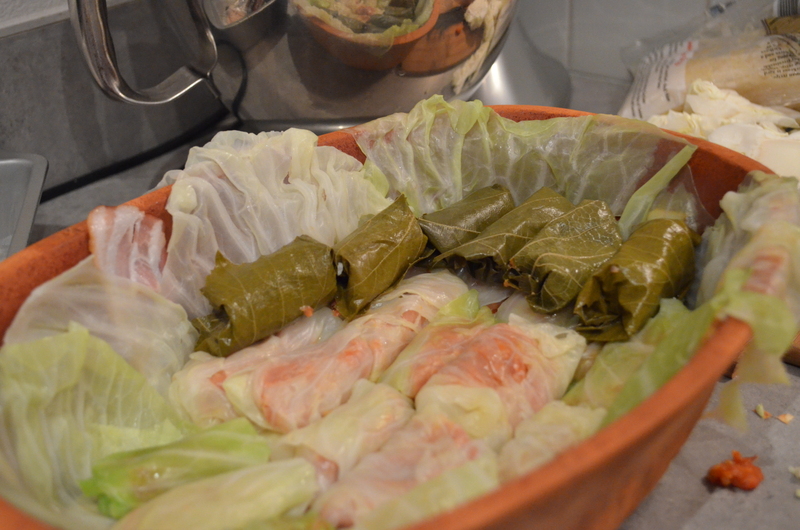 Cover the bottom of the pan with cabbage leaves and start arranging the “sarmale”. 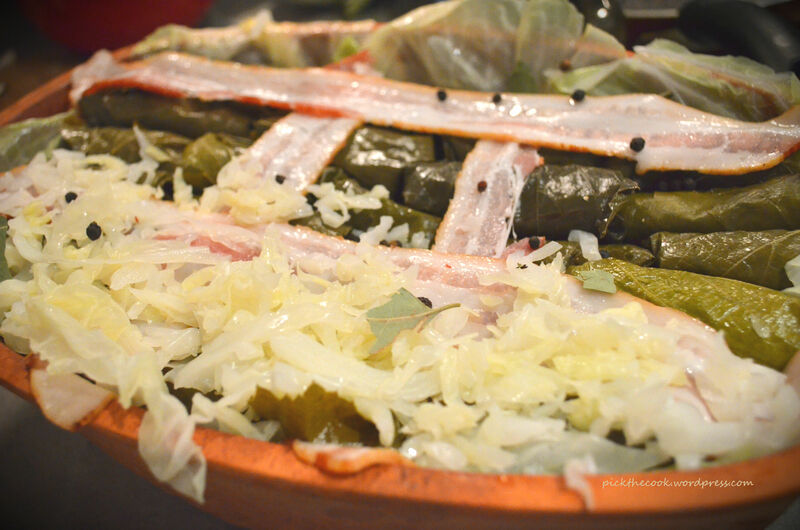 Add pepper, bay leaves and bacon between the layers of “sarmale”. 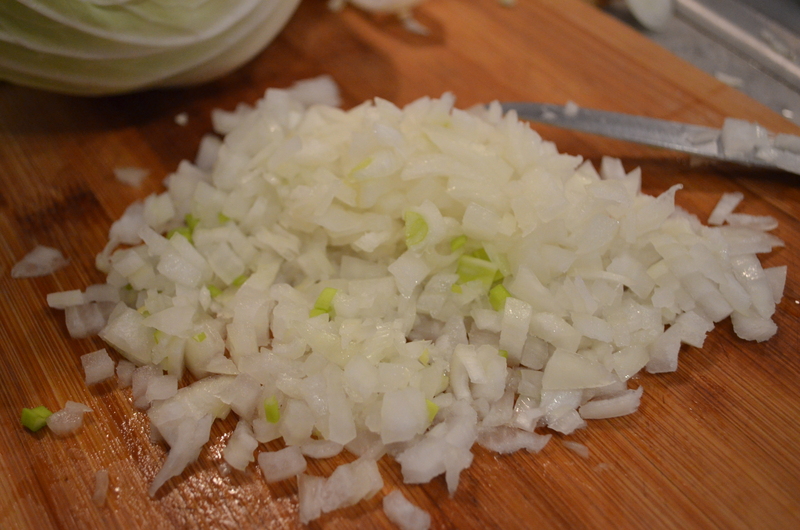 Cover the last layer with chopped cabbage. Mix 4 tbs of tomato paste with about a cup of warm water and pour it into the pan. Cook them on low heat for about 2 hours.